Have any leftover birthday cake? Or did you bake a cake and it turned out a little dry? So what do you do with dry cake? 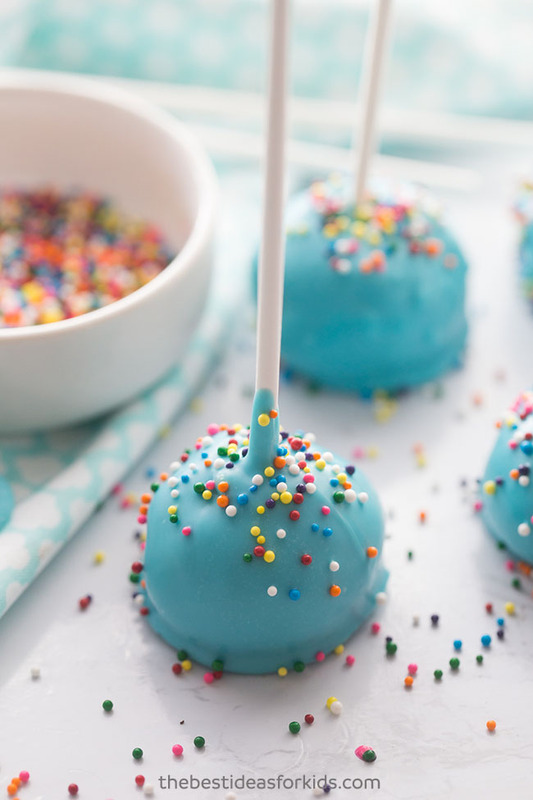 Turn it into cake pops of course! 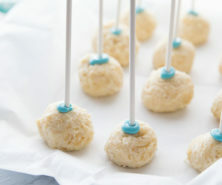 This how to make cake pops tutorial has really easy steps to turn any cake into cake pops. 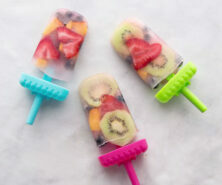 Kids will love helping to make these but the best part is enjoying them as a fun treat! 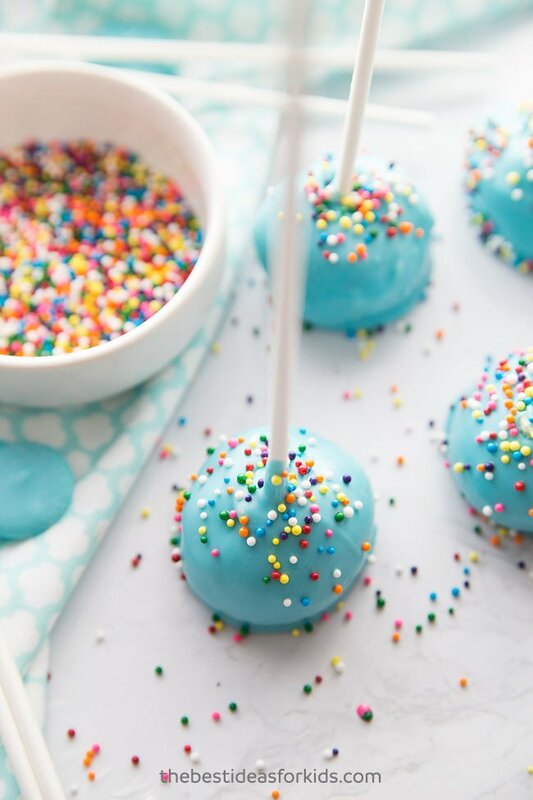 You cake pops don’t have to be bakery-perfection. 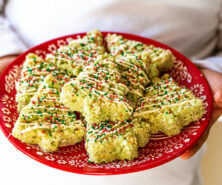 Just have fun making them and enjoy eating their soft gooey centers. They are actually really easy to do. Kids will really enjoy making them with you – especially the dipping and decorating parts. If you want your cake pops to be round you’ll need to use some foam board to stand them up on or a cake pop mold. We don’t mind having them a little flat on the bottom as they are easier to store that way and they get eaten pretty quickly in our house! But if you want to give these as a gift, we would recommend using the cake pop mold. The best thing about making cake pops is using leftover dry cake. If you have leftover cake from a birthday party or another event, this is a great way to turn that cake into something new! 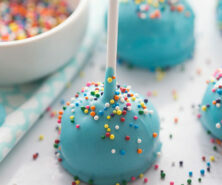 If you had a cake fail and your cake turned out too dry, then that would also be perfect to turn into cake pops. You can also bake a cake from a cake mix or from scratch to make your cake pops. 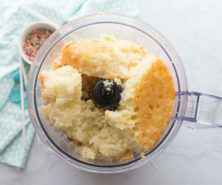 Whatever cake you use, you can use a food processor to crumble the cake. If you don’t have a food processor you can also use your hands. Your candy chocolate will have directions for melting. This is the step you really want to be careful with. 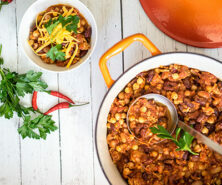 If you over-heat, then add some shortening to it. Turn your microwave setting down as low as possible and stir often in between heating. Let the heat of the candy melts continue to melt on their own before putting in the microwave again so you prevent overheating them. Tip: Microwave for half of the recommended time on your packaging. Stir and see if the heat from the candy melts will melt the remaining chocolate. All microwaves vary in heat settings so be careful not to over-heat your candy melts or you won’t be able to dip your cake pops in them. 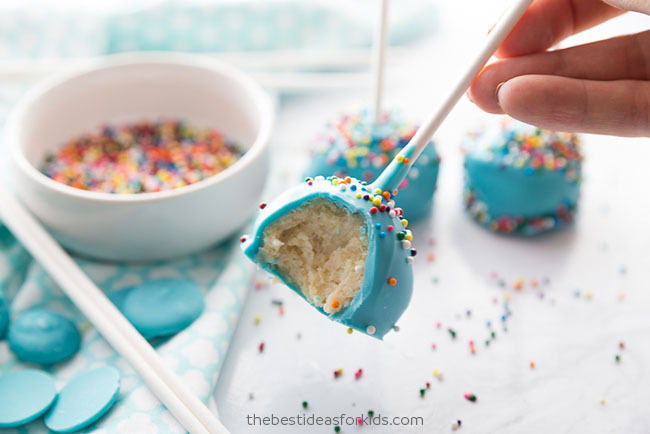 An easy tutorial for making cake pops with sprinkles. If you do not have leftover dry cake, bake a cake according to package instructions and let cool. 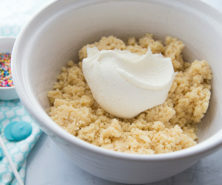 Use a food processor to turn the cake into a breadcrumb consistency. 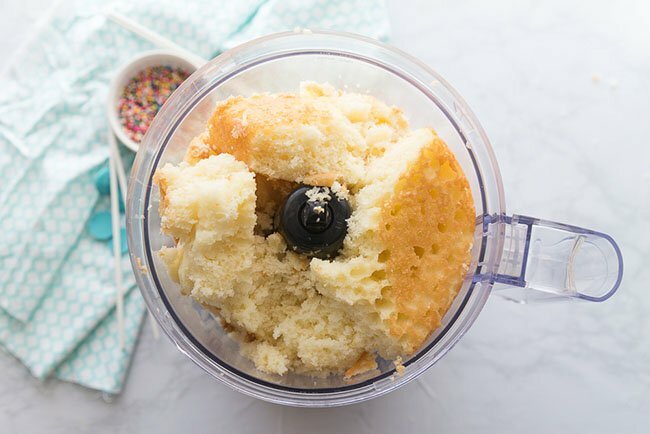 If you don't have a food processor you can also crumble the cake by hand. 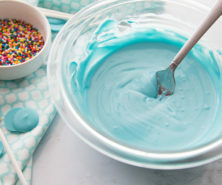 Mix the cake crumbs with your icing (We used about 3/4 of the jar but you may need to add it slowly to get the right mix). You want it to be almost like dough but not too sticky from the icing. If you find it too sticky, add a little more cake in and if you find it too dry, add more icing. Then roll the dough and form into balls. Place on wax or parchment paper. 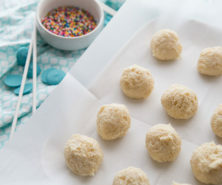 Chill the cake balls in the refrigerator for a few hours. Melt your candy melts in the microwave according to the package directions. This is the step you really want to be careful with. If you over-heat, then add some shortening to it. Turn your microwave setting down as low as possible and stir often in between heating. 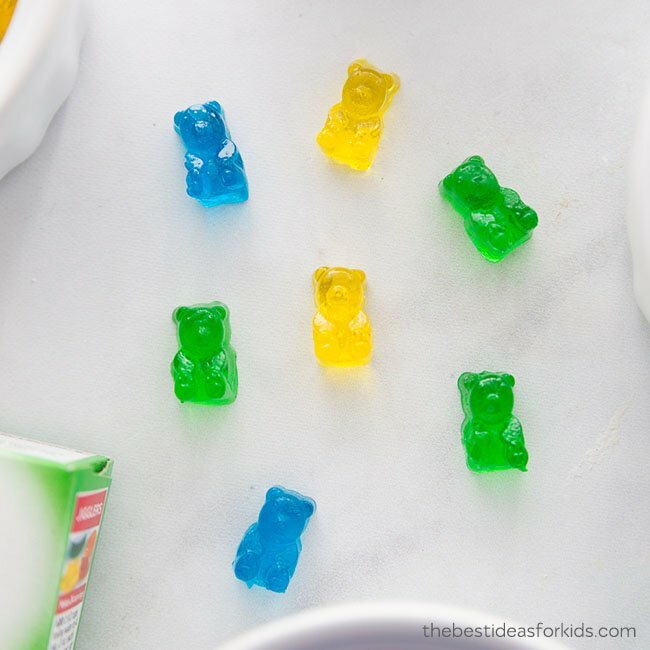 Let the heat of the candy melts continue to melt on their own before putting in the microwave again so you prevent overheating them. Then dip the candy sticks in the candy melt mixture and place halfway through the balls. 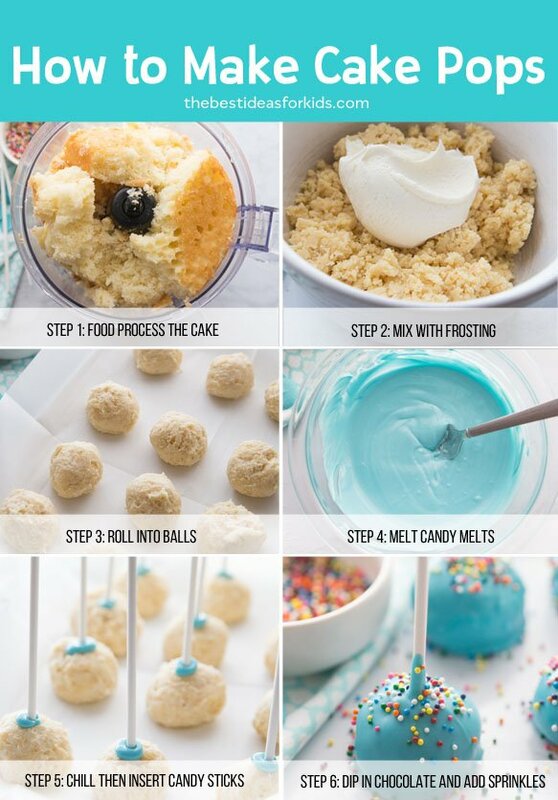 Allow the candy mixture to harden on the cake balls. Dip in your melted chocolate coating and then let the excess coating drip off to one side. You can also add sprinkles at this point before the chocolate coating dries completely. Place in a foam board to dry if you would like your cake pops to be round. If you want your cake pops to be round you'll need to use some foam board to stand them up on or a cake pop mold. Here’s a fun summary you can pin to your Pinterest board so you’ll have this easy step-by-step reminder ready to go when you’re ready to make the cake pops! 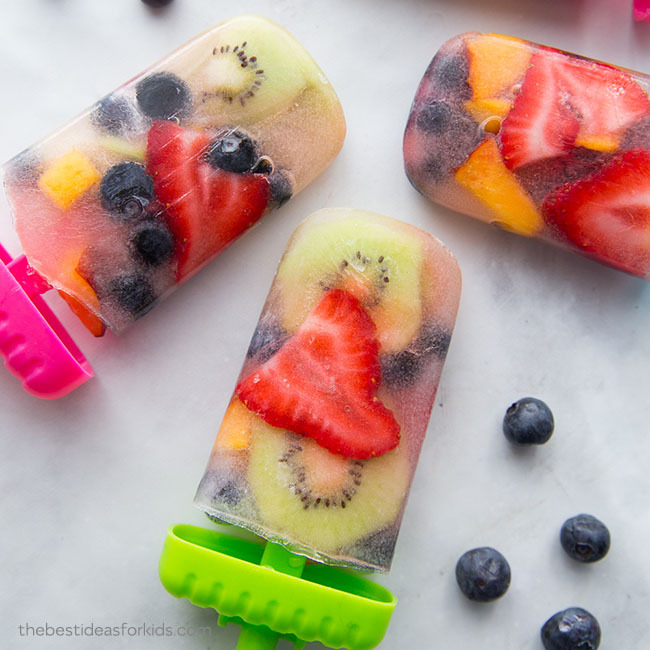 These real fruit popsicles are also a hit with kids and they will love helping to make them!